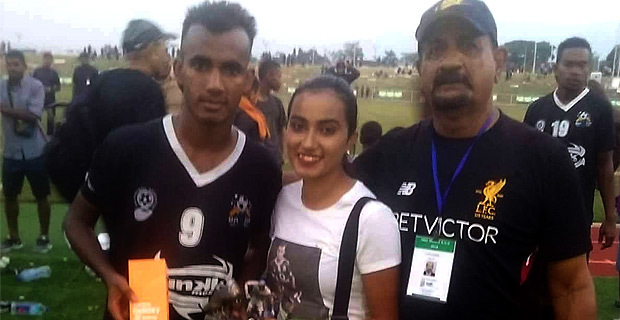 Ba soccer team’s top marksman Abbu Zahid has applied for his transfer to join Lautoka. Fiji Football Association’s CEO Mohammed Yusuf has confirmed this to Fijivillage saying they have received Zahid’s application. Zahid is an integral figure for the Men in Black and it will be seen in the coming days whether the Ba Soccer Association will hold talks with Zahid to stay back for the OFC Champions League campaign. It has also been confirmed that the Lautoka Soccer Association has applied for the International Transfer Certificate of three overseas based players including 21-year-old sensation from Vanuatu, Bong Kalo. Meanwhile, Tavua’s Ratu Dau has applied for his transfer to join Ba. The player transfer window closes on the 30th of this month.